ARC Laureate Fellow (2012-2017), Federation Fellow (2002-2007, 2007-2012). In December 2016, Professor Terry Hughes was recognized by Nature as one of the “10 people who mattered this year” for his leadership in responding to the global coral bleaching event caused by climate change. Terry’s research has enabled him to translate fundamental and innovative science into practical solutions that improve the management and governance of marine environments. Nature’s 10 dubbed him “Reef Sentinel”, for the global role he plays in applying multi-disciplinary science to securing reef sustainability. Professor Hughes is an Australian Research Council Laureate Fellow and Director of the ARC Centre of Excellence for Coral Reef Studies (since 2005). Professor Hughes was elected a Fellow of the Australian Academy of Science in 2001, and was a member of the Expert Advisory Committee for Australian National Research Priorities in 2002. He is a Fellow of the Beijer International Institute for Ecological Economics at the Royal Swedish Academy of Science, Stockholm, and a former member of the Board of Directors of the Resilience Alliance. He has been awarded numerous prizes awards, including the Centenary Medal of Australia, the quadrennial Darwin Medal of the International Society for Coral Reef Studies, and an Einstein Professorship from the Chinese Academy of Sciences. According to Google Scholar, his lifetime citations exceed 43,000. He has published so far 20 papers in Science and Nature. In the past five years, Terry’s research has increasingly evolved to encompass the interface between biology and the social sciences, enabling a broader evaluation of the linkages between coral reef ecosystems, the goods and services they provide to people, coral reef governance, and the welfare of human societies. The ARC Centre is developing further research capacity in this area by strategic recruitment of social scientists, creating a unique multi-disciplinary team of the highest calibre. Terry’s recent work has focussed on climate change, understanding the complexities of multiple cumulative impacts, market drivers of ecological change, missing institutions, identifying safe planetary boundaries for human development, avoiding social traps, and transformative governance of the sea (e.g. in Australia, Chile, China, the Galapagos Islands, Gulf of Maine and the Coral Triangle). His future research will focus on the linkages between coral reef ecosystems, the goods and services they provide to people, and the welfare of human societies. The objective is to improve the governance and management of natural systems and enhance their capacity to sustain human and natural capital. The overarching goal is to integrate the science of coral reef resilience with decision-making and management. Hughes, TP, et al. (2018). Large-scale bleaching of corals on the Great Barrier. Reef Ecology, 99:501. Hughes, TP, et al. (2018). Spatial and temporal patterns of mass bleaching of corals in the Anthropocene. Science, 359:80-83. Hughes TP, D.R. Bellwood, S.R. Connolly, H.V. Cornell, and R.H. Karlson (2014). Double jeopardy and global extinction risk in corals and reef fishes. Current Biology 24: 1-6. Bridge, T., Hughes TP, JM. Guinotte, P.Bongaerts (2013). 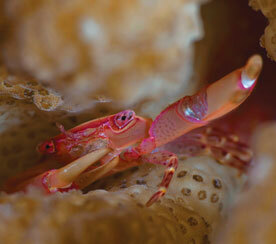 The need to protect all Coral Reefs. Nature Climate Change 3: 528-530. Graham, N., D.R Bellwood, J.E Cinner, T.P Hughes, A.V Norström, and M. Nyström. (2013). Managing resilience to reverse phase shifts in Coral Reefs. Frontiers in Ecology and the Environment 11: 541-548. Hughes TP, S.R. Carpenter, J. Rockström, M. Scheffer, B. Walker (2013). Multi-scale regime shifts and planetary boundaries. Trends in Ecology Evolution l. 28: 389-395. Keith, S.A., A.H. Baird, Hughes TP, J.S. Madin, J.S. and S.R. Connolly. (2013) Faunal breaks and species composition of Indo-Pacific corals: the role of plate tectonics, environment, and habitat distribution. Proceedings of the Royal Society B 280; 20130818. Hughes, TP, Graham, N, Jackson, JBC, Mumby, PJ and Steneck, RS (2010). 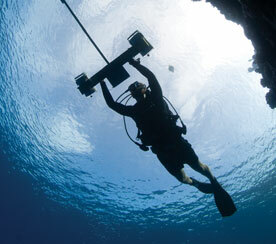 Rising to the challenge of sustaining coral reef resilience. Trends in Ecology & Evolution 25: 633-642. Walker, B, Barrett, S, Polasky, S, Galaz, V, Folke, C, Engstrom, G, Ackerman, F, Arrow, K, Carpenter, S, Chopra, K, Daily, G, Ehrlich, P, Hughes, T, Kautsky, N, Levin, S, Maler, K-G, Shogren, J, Vincent, J, Xepapadeas, T and de Zeeuw, A (2009). Looming global-scale failures and missing institutions. Science 325(5946): 1345-1346. Cinner, JE, McClanahan, TR, Daw, TM, Graham, NAJ, Maina, J, Wilson, SK and Hughes, TP (2009). Linking social and ecological systems to sustain coral reef fisheries. Current Biology 19: 201-212. Connolly, SR, Dornelas, M, Bellwood, DR and Hughes, TP (2009). Testing species-abundance models: A new bootstrap-based approach applied to Indo-Pacific coral reefs. Ecology 90: 3138-3149. Elmhirst, T, Connolly, SR and Hughes, TP (2009). Connectivity, regime shifts and the resilience of coral reefs. Coral Reefs 28: 949-957. Hughes, T.P. 2009. Seascape patterns and dynamics of coral reefs. In: S. Levin (ed). The Princeton Guide to Ecology, Princeton University Press, 482-487 pp. Rockstrom, J, Steffen, W, Noone, K, Persson, A, Chapin, FS, Lambin, EF, Lenton, TM, Scheffer, M, Folke, C, Schellnhuber, HJ, Nykvist, B, de Wit, CA, Hughes, T, van der Leeuw, S, Rodhe, H, Sorlin, S, Snyder, PK, Costanza, R, Svedin, U, Falkenmark, M, Karlberg, L, Corell, RW, Fabry, VJ, Hansen, J, Walker, B, Liverman, D, Richardson, K, Crutzen, P and Foley, JA (2009). A safe operating space for humanity. Nature 461(7263): 472-475. (This article was the topic of the Editorial in the same issue, along with seven Commentaries solicited by Nature). Olsson, P, Folke, C and Hughes, TP (2008). 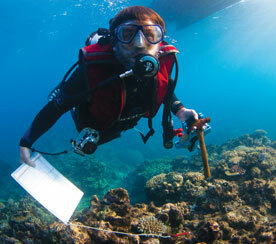 Navigating the transition to ecosystem-based management of the Great Barrier Reef, Australia. PNAS 105: 9489-9494. Scheffer, M, van Nes, EH, Holmgren, M and Hughes, TP (2008). Pulse driven loss of top-down control: The critical rate hypothesis. Ecosystems 11: 226-237. Cornell, HV, Karlson, RH and Hughes, TP (2007). Scale-dependent variation in coral community similarity across sites, islands, and island groups. Ecology 88: 1707-1715. Hughes, TP, Bellwood, D, Folke, C, Pandolfi, J, Steneck, R (2007). No-take areas, herbivory, and resilience of coral reefs. Trends in Ecology and Evolution 22: 1-3. Hughes, TP, Rodrigues, MJ, Bellwood, DR, Ceccarelli, D, Hoegh-Guldberg, O, McCook, L, Moltschaniwskyj, N, Pratchett, MS, Steneck, RS and Willis, B (2007). Phase shifts, herbivory, and the resilience of coral reefs to climate change. Current Biology 17(4): 360-365. Hughes, TP, Gunderson, LH, Folke, C, Baird, AH, Bellwood, D, Berkes, F, Crona, B, Helfgott, A, Leslie, H, Norberg, J, Nystrom, M, Olsson, P, Osterblom, H, Scheffer, M, Schuttenberg, H, Steneck, RS, Tengo, M, Troell, M, Walker, B, Wilson, J and Worm, B (2007). Adaptive management of the Great Barrier Reef and the Grand Canyon World Heritage areas. Ambio 36(7): 586-592. Karlson, RH, Cornell, HV and Hughes, TP (2007). Aggregation influences coral species richness at multiple spatial scales. Ecology 88: 170-177. McCook, LJ, Marshall, P, Folke, C, Hughes,TP, Nystrom, M, Obura, D, Salm, R (2007). Ecological resilience, climate change, and the Great Barrier Reef: An introduction. In: Johnson, J and Marshall, P (eds). Climate Change and the Great Barrier Reef, GBRMPA, Townsville, 1-29 pp. Lebel, L, Anderies, JM, Campbell, B, Folke, C, Hatfield-Dodds, S, Hughes, TP and Wilson, J (2006). Governance and the capacity to manage resilience in regional social-ecological systems. Ecology and Society 11(1): 19. Berkes, F, Hughes TP et al. (2006). Policy forum: Globalization, roving bandits, and marine resources. Science 311: 1557-1558. Dornelas, M, Connolly, SR, and Hughes, TP (2006). 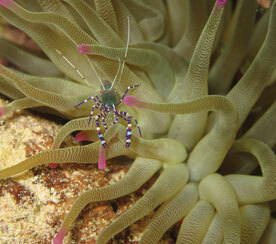 Coral reef diversity refutes the neutral theory of biodiversity. Nature 440: 80-82. Hughes, TP, Bellwood, DR, Folke, C, Steneck, RS, and Wilson J (2005). 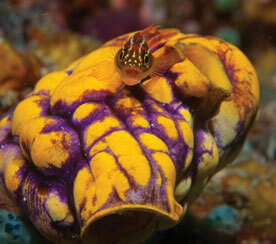 New paradigms for supporting the resilience of marine ecosystems. Trends in Ecology & Evolution 20: 380-386. Adger, WN, Hughes,TP, Folke, C, Carpenter, SR, and Rockstrom J (2005). Social-ecological resilience to coastal disasters. Science 309: 1036-1039. Bellwood, DR, Hughes, TP, Folke, C, and Nyström, M (2004). Confronting the coral reef crisis. Nature 429: 827-833. Ayre, DJ, and Hughes, TP (2004). Climate change, genotypic diversity and gene flow in reef-building corals. Ecology Letters 7: 273-278. Hughes, TP, Baird, AH, Bellwood, DR, Card, M, Connolly, SR, Folke. C, Grosberg, R, Hoegh-Guldberg, O, Jackson, JBC, Kleypas, J, Lough, JM, Marshall, P, Nystrom, M, Palumbi, SR, Pandolfi, JM, Rosen, B, Roughgarden, R (2003). Climate change, human impacts, and the resilience of coral reefs. Science 301: 929-933. Pandolfi, JM, Hughes, TP, and 10 co-authors. (2003). Global trajectories of the long-term decline of coral reef ecosystems. Science 301: 955-958. Jackson, JBC, Hughes, TP, and 16 co-authors. (2001). Historical overfishing and the recent collapse of coastal ecosystems. Science 293: 629-638. Hughes, TP, Baird, AH, Dinsdale, EM, Moltschaniwskyj, NA, Pratchett, MS, Tanner, JE, and Willis, BL (1999). Patterns of recruitment and abundance of corals along the Great Barrier Reef. Nature 397:59-63. Hughes, TP and Connell, JH (1999). Multiple stresses on coral reefs. Limnology & Oceanography 44(3):932-940. Hughes, T.P (1994). Catastrophes, phase-shifts, and large-scale degradation of a Caribbean coral reef. Science 265: 1547-1551. Hughes, TP and Jackson, JBC (1985). Population dynamics and life histories of foliaceous corals. Ecological Monographs 55: 141-166.